What's better than a cute outfit, you ask? Being comfortable in a cute outfit, of course! 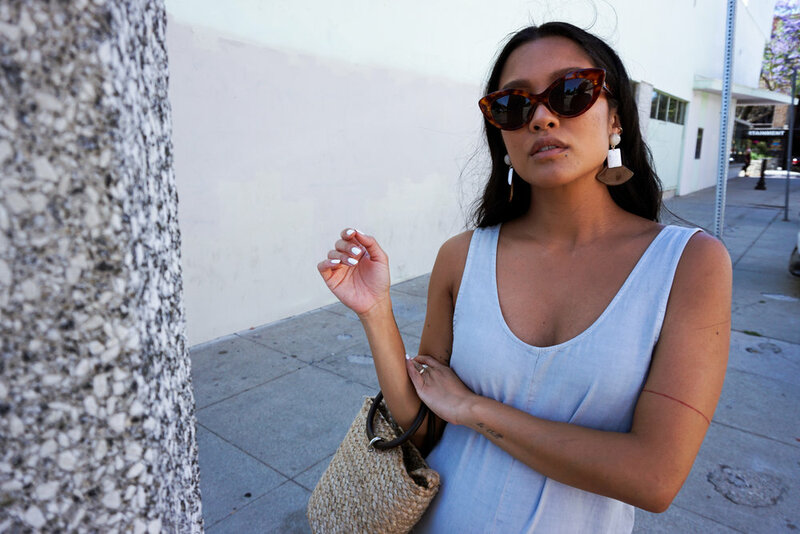 When you find an outfit that makes you feel good, both visually and physically, it's a winner in my book. And when I slipped into this chambray jumpsuit from PinkBlush, I felt like I won the jackpot! 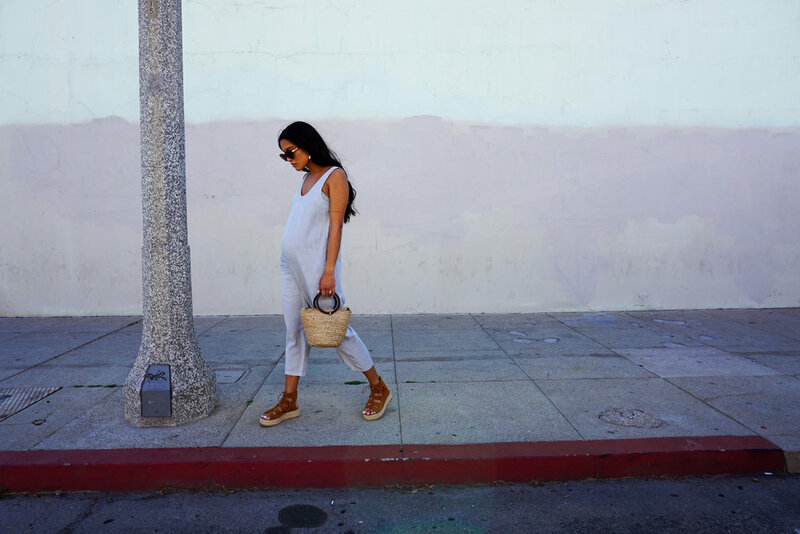 I'm a lover of all outfits made easy so jumpers, rompers and dresses are very popular in my closet. This light blue chambray jumpsuit is so effortlessly cute and the material is incredibly soft! It's lightweight and loose which is perfect during these hot summer days. I've always liked blue shades paired with brown and tan hues, so I had to bust out my favorite espadrilles and straw bag again. 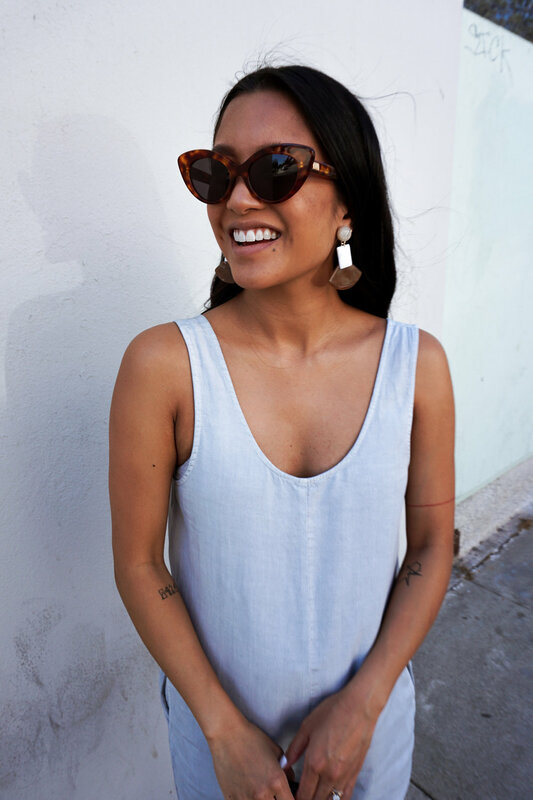 I've also been really into fun statement earrings lately, so to finish off this look, I put on some new ear candy I recently picked up from Nordstrom and a pair of tortoise shell shades. This look is made for perusing famers markets or treating yourself to a day of shopping! 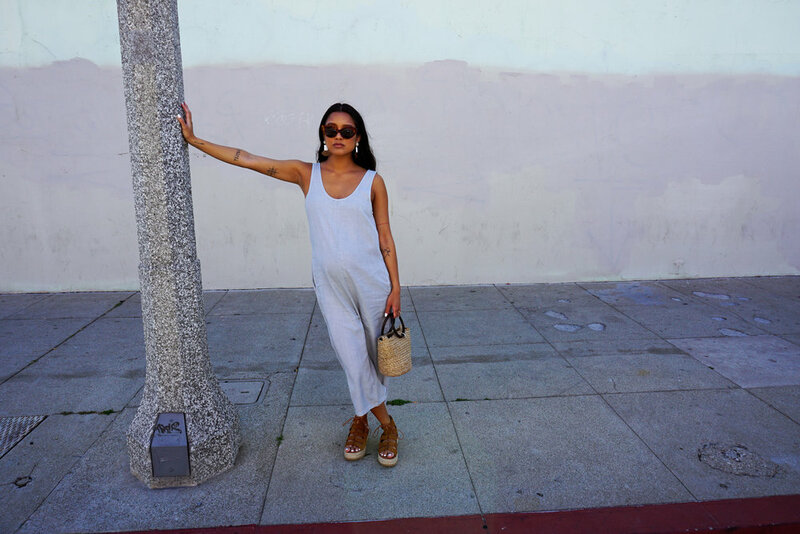 Are you jumpin' for jumpsuits this summer? What do you want to see next on Wear I Am? Comment and shop this look along with similar items below!